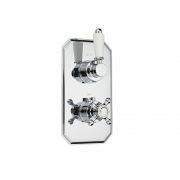 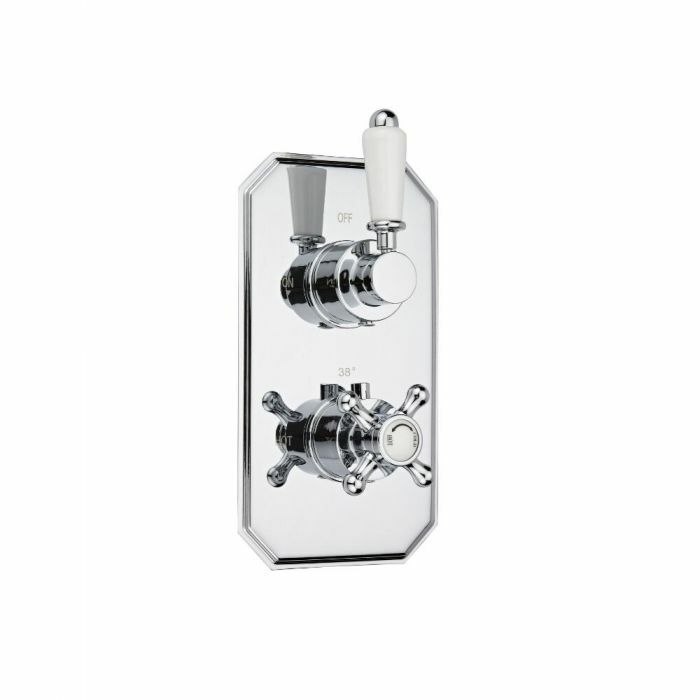 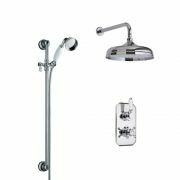 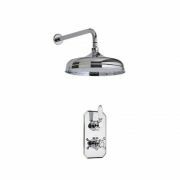 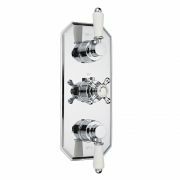 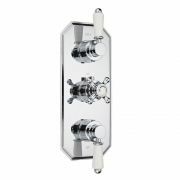 The Milano Victoria concealed thermostatic twin shower valve is the perfect choice for a traditional bathroom or en-suite. 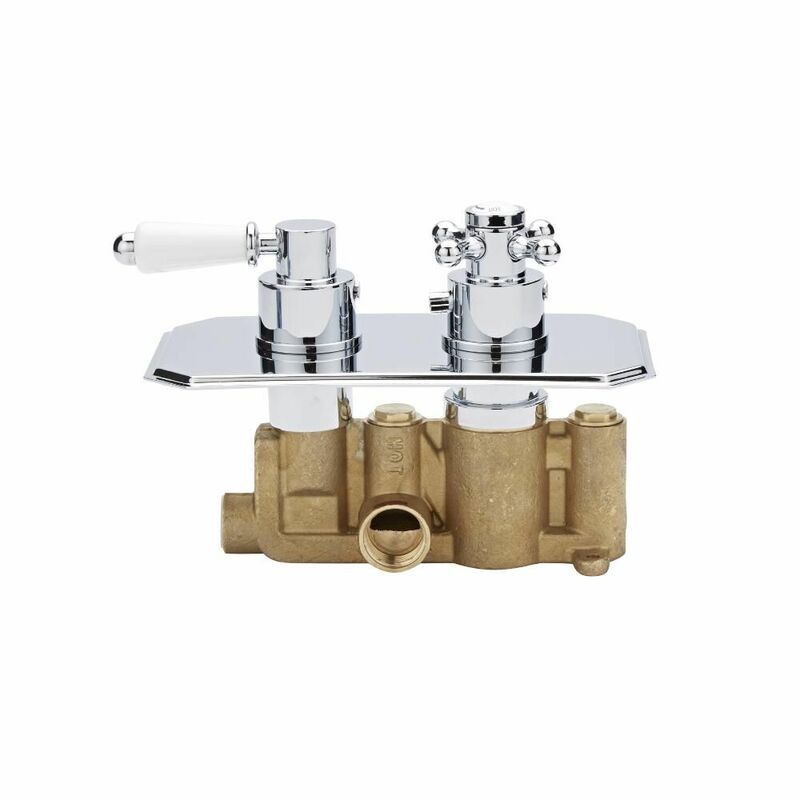 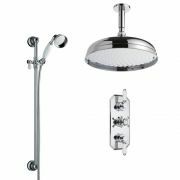 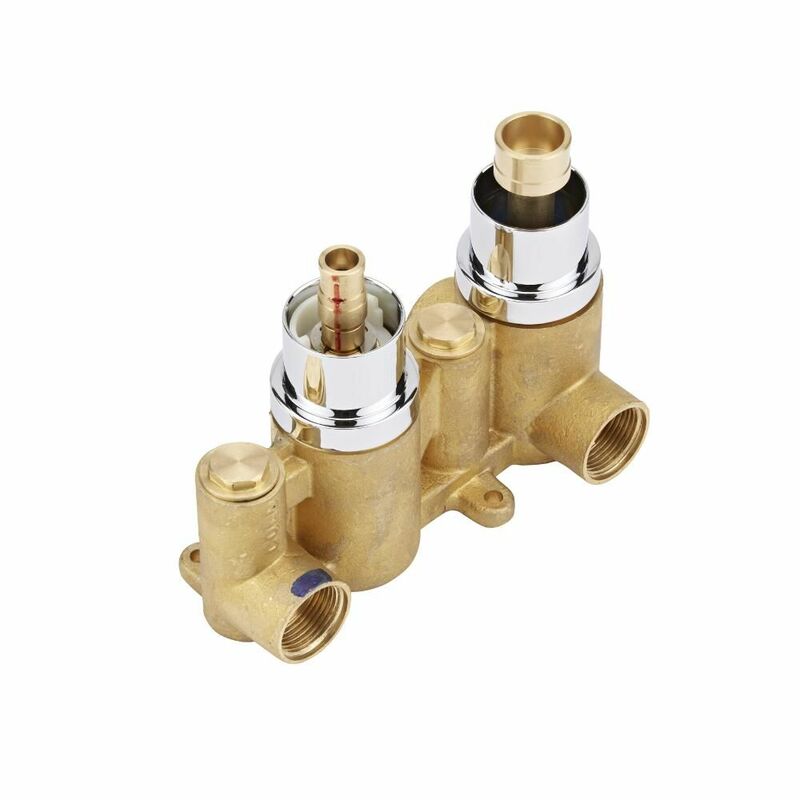 Suitable for all plumbing systems, this TMV2 approved shower valve with diverter supplies water to two outlets such as a fixed shower and body jets. 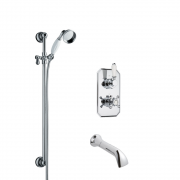 It has a brilliant chrome finish and a solid brass construction so you can be assured of quality and durability. 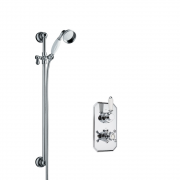 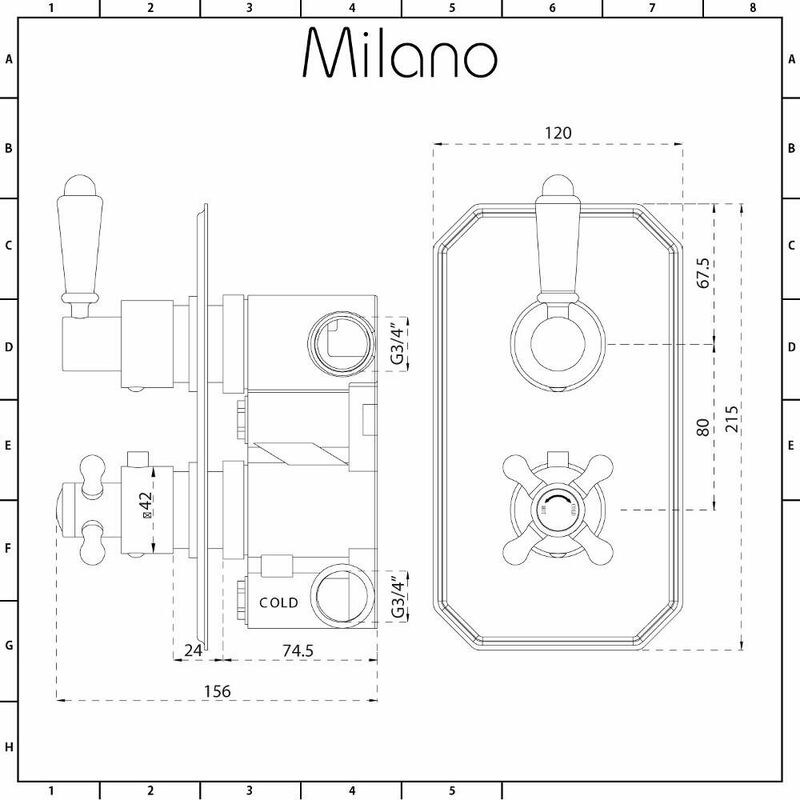 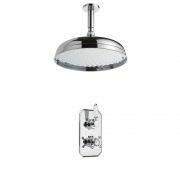 The Milano shower valve incorporates anti-scald technology to ensure a safer showering experience. 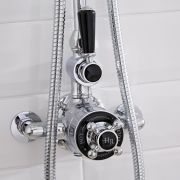 The ceramic disc technology prevents leaks and drips.